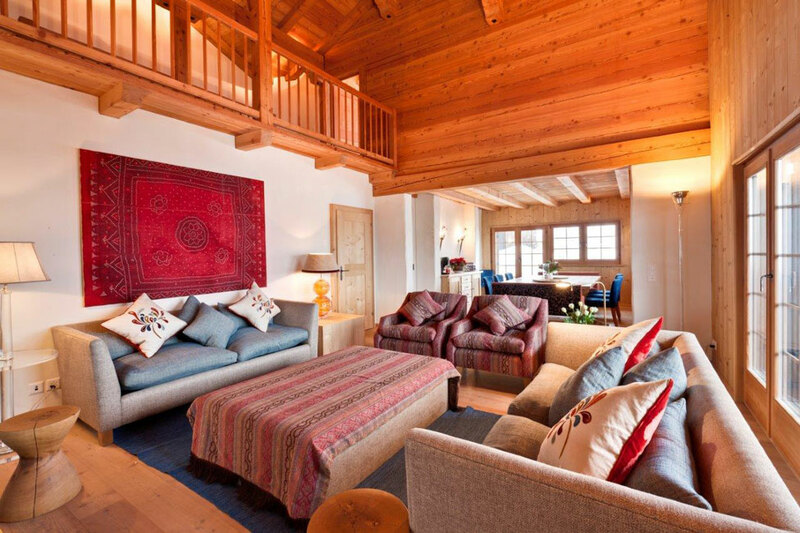 Casa Chimera was built in 2005 as a luxury family home and is within easy reach of the lifts and centre of Klosters village. 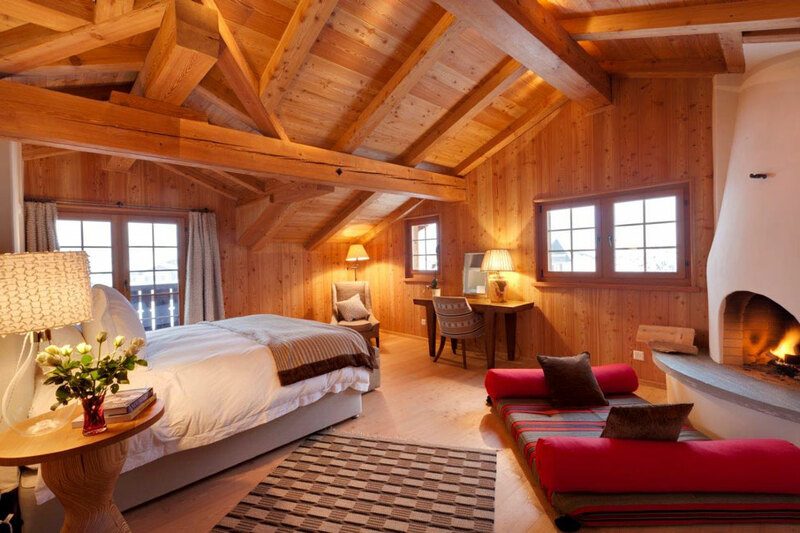 The Chalet has a lovely spacious feel to it and can sleep up to 10 guests in 5 bedrooms, each with their own bathroom or shower room. 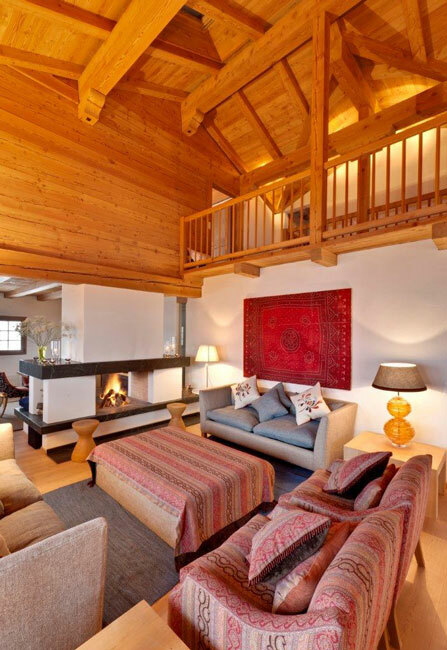 The main entrance to the chalet is on the first floor which opens into a large lobby. This then leads into a generous open plan living room divided into three sections. 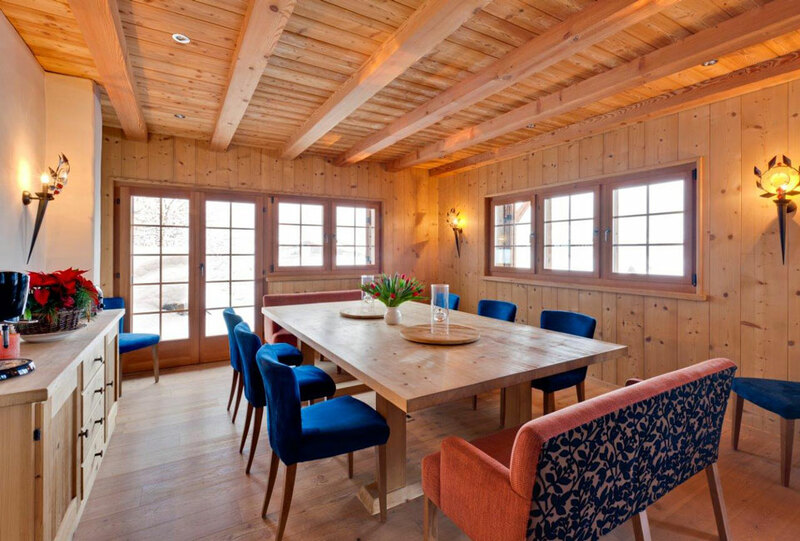 At one end is the dining area with a table that sits 14 easily. 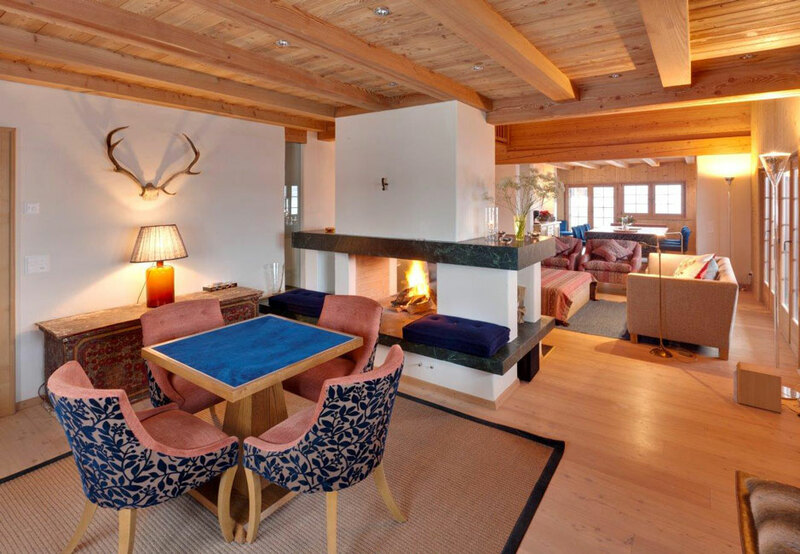 The central part is double heighted with comfortable sofas, the perfect place to relax after a day’s skiing, or for a drink before dinner. Adjacent to this and separated by a large double sided fireplace is a cosy games area, ideal for a game of backgammon or a rubber of bridge. Just off the hallway is a fully equipped TV/audio room with widescreen TV. The kitchen is also on the first floor and is a separate room near the dining area. 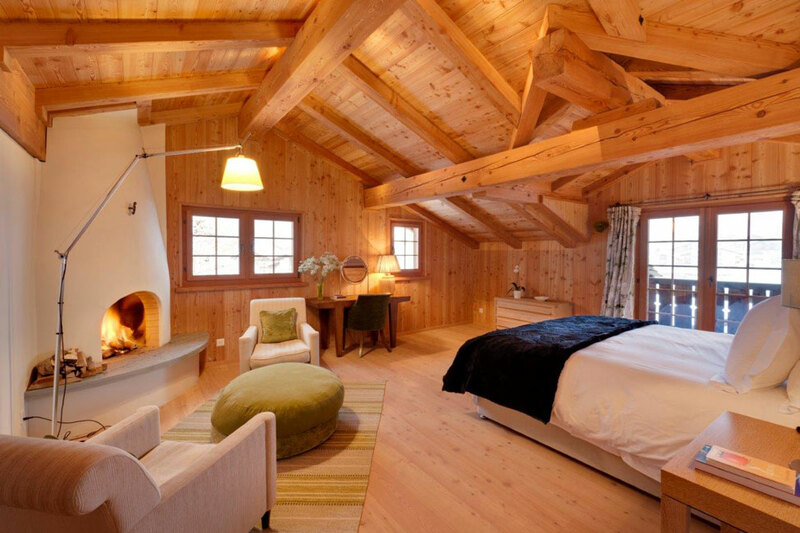 The chalet has two master bedrooms, each with their own fireplace and en-suite bathroom and these are both on the second floor. 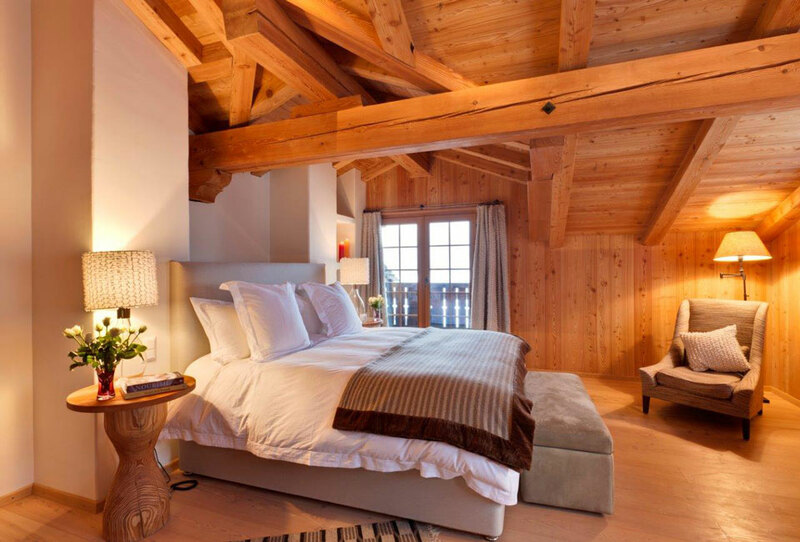 Here there is also a further double bedroom with an en-suite shower room. The last two bedrooms are on the ground floor and are both twins with en-suite bathrooms. There is also a sauna on the ground floor and separate power shower. As would be expected of a chalet of this calibre, the ski boot racks in the ski room are heated. The chalet has a dedicated staff of two who live in and will take care of you impeccably. 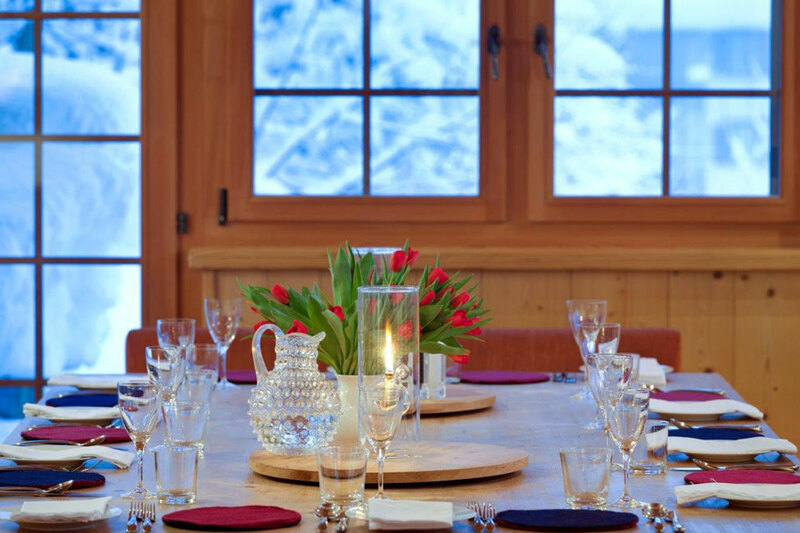 They will prepare breakfast and have tea waiting for you for when you get back from skiing at the end of the day. Dinner will be four courses, preceded by canapés. 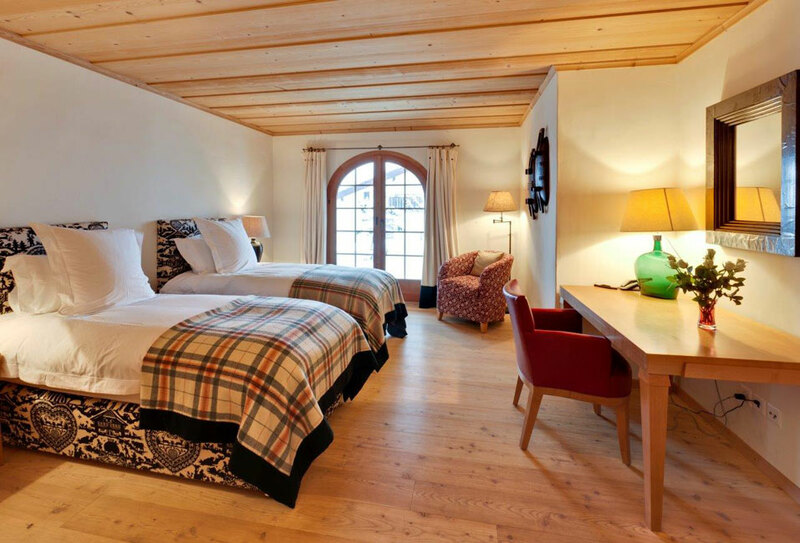 Whether you are with family or friends, staying in Casa Chimera is a stunning way to enjoy your holiday in Klosters.